All The Pretty Dresses: So a Teens Era Dress! 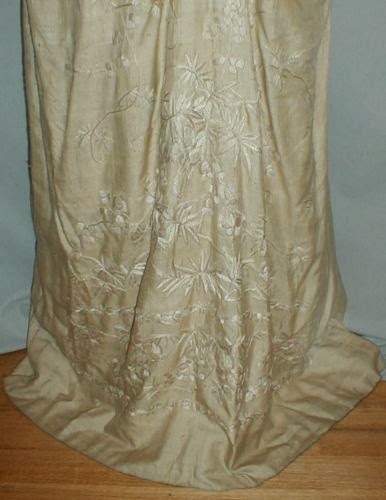 An exquisite 1912 Edwardian tan raw silk embroidered dress. The inside label reads L. M. Perkins, Haverhill, Mass. 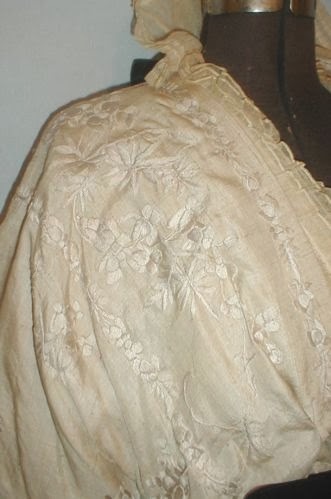 The dress is extensively embroidered with a light beige large floral pattern. The bodice has raglan style draped sleeves and a front net lace insert. 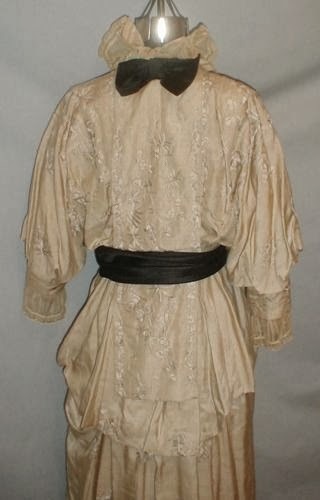 The sleeve cuffs are trimmed with net lace. The skirt has drapery on each hip. The dress has a center back panel that extends from the neckline to mid hip area. The waist has a black satin belt. 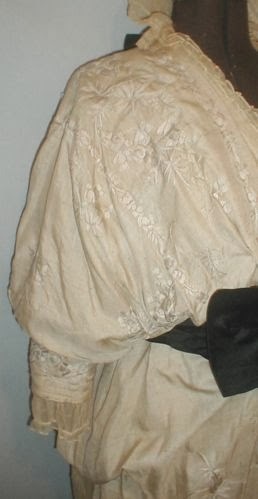 The bodice is lined with cotton and the skirt is unlined. 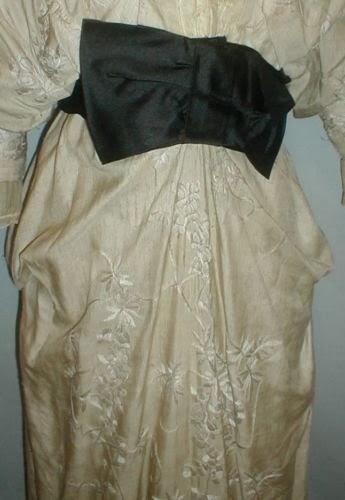 The bodice has a front hook and eye closure and the skirt snaps to the side. The dress is in very good condition. There is no underarm discoloration and no splits or holes in the fabric. There is a 1 ½ inch thin blue line mark on the edge of the skirt side and soiling on the edge of the hemline. Bust 34 Waist 26 Skirt length 43. 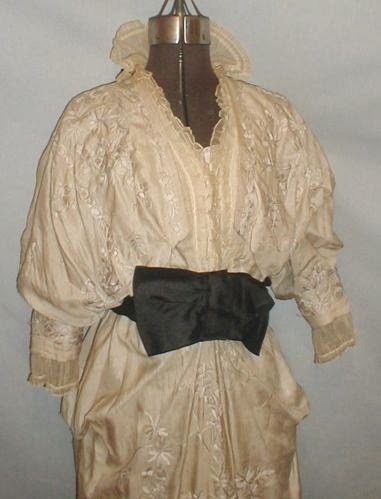 This is probably a couple years later than 1912 but you've got to love that draping!